TWO DRAGON TYPES, TWO FIERY COLLECTIONS! 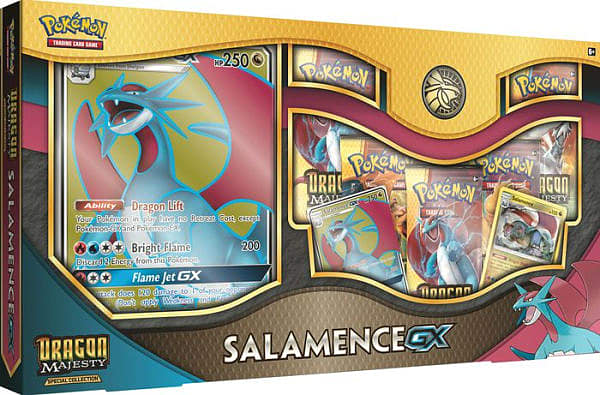 Salamence-GX grew from humble beginnings into a mighty Pokemon of fire and rage. 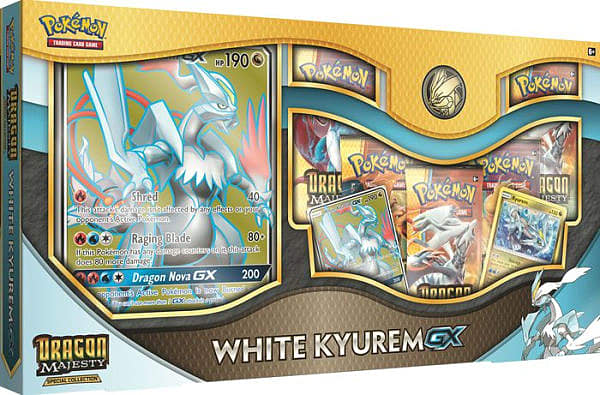 White Kyurem-GX combines two wildly opposite powers, and its mastery of fire and ice is unique among Pokemon. 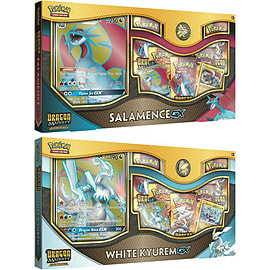 Both of these amazing Pokemon are available in these two powerful, dragon-themed collections!